Then you’ve got a secret weapon for learning French. These two languages have been intertwined for centuries, creating lots of overlap that language learners can use to their advantage. But they’re not exactly twins, of course. So it’s important to be smart about how you learn French through English. Don’t get trapped by a sneaky French word that only looks like an English word you know. In this post, we’ll walk you through the do’s and don’ts. From shared vocabulary to grammar quirks to French-English fusion in pop culture, there’s a lot to help you get a head start in your path to fluency. It’s not by chance that your English puts you ahead of the game. English and French have a long and storied relationship. As a result, English adopted French words when servants interacted with their masters. For example, the farm animal with a snout is called a pig, but when it’s killed and served its name changes to porc (pork). In other cases, English adopted French words without replacement, such as freedom (Old English origin) coexisting in English with liberty (French origin). As a prestige language, French continued influencing English until recently. French enjoyed a status of diplomatic and cultural prestige throughout the 18th century, long after England eclipsed France as the preeminent world power. Because of this, English wholeheartedly adopted such geopolitical phrases as coup d’état and fait accompli. All this means if you speak English, you already know many French words—your vocabulary studies will be that much easier. Estimates place the number of English words that come from French at about 45 percent. By the 20th century, however, the tables turned. The rise of the U.S. after World War II gave English a cool factor that has prompted French to adopt many English words in a language soup called franglais. 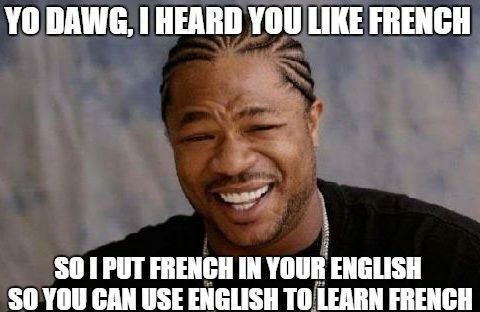 Franglais has been controversial for decades because many people in France and Quebec want the French language to be free of English influences. Indeed, both France and Quebec have adopted laws limiting the use of franglais and English. Despite this controversy, the continued exchange makes it easier for you to learn. Today, it’s not uncommon to hear the French talking about their plans for le weekend or how they’re going to faire du shopping (go shopping). Other English words that’ve found their way into French include jogging, email and marketing. The fact that English inherited so many words from French is a huge benefit for learners. Not only will it make your vocabulary flashcards go by quicker, it also makes it easier to start reading in French and picking up new, non-English words from context. To demonstrate just how much of French you can already read, let’s look at an example text. La France… est un État transcontinental souverain, dont le territoire métropolitain est situé en Europe de l’Ouest. Il a des frontières terrestres avec la Belgique, le Luxembourg, l’Allemagne, la Suisse, l’Italie, l’Espagne… et dispose d’importantes façades maritimes dans l’Atlantique, la Manche, la mer du Nord et la Méditerranée. Son territoire ultramarin s’étend dans les océans Indien, Atlantique et Pacifique ainsi que sur le continent sud-américain et a des frontières terrestres avec le Brésil, le Suriname et le Royaume des Pays-Bas. This is the first paragraph of the Wikipedia article on France. Of the 80 words, roughly 30 are either identical in English or similar enough to be considered cognates (words in different languages that have the same origin or are related in some other way). Without speaking French, you should be able to infer various facts about France’s geography. Although many words in French are similar to or the same as English words, some French words seem similar… but aren’t. So, while similar French/English words can certainly help you scan a text and understand context, you shouldn’t assume that you understand word-for-word until you check with a dictionary. Of course, these are only some common examples of the hundreds of faux amis in French. As I explained earlier, the tables have turned. Thanks to English-dominated pop culture, French has incorporated many anglo words into its lexicon. Knowing that you can use a lot of English words in French makes your vocabulary acquisition easier. For example, French rap borrows from English all the time. Check out the rapper Booba for some great examples. There are certain French YouTube genres that are particularly filled with franglais: gamer videos and cosmetics/shopping videos. I recommend these topics because they garner high viewership in French and English. If you can’t understand everything yet, don’t worry. Just listen for English words you recognize. You can find some cool videos under searches like “Let’s play Minecraft francais” in the case of video games, or “Mon haul de Londres” for shopping videos. Or go straight to the source with FluentU, which was designed to make authentic French videos part of the language learning process. FluentU has everything from funny French YouTube clips to movie trailers to inspiring talks and more—all with interactive subtitles providing definitions and English translations for every word. That means it’s super easy to listen for context and cognates based on your English knowledge, then fill in any gaps simply by clicking French words you don’t recognize. You can also quickly check whether a word you think you recognize is actually a faux ami. 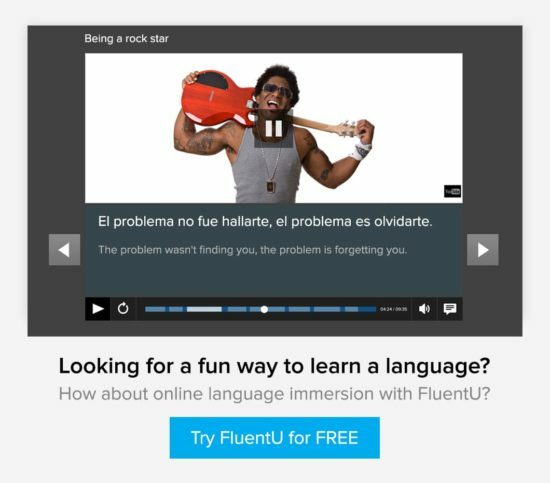 FluentU organizes all videos by language level, so you can use it at any stage in your studies. You can also take your practice on the go with the FluentU mobile app for iOS or for Android devices. Although English and French have some grammatical aspects in common, they’re just too different. You can’t substitute English and French word-for-word and expect it to make sense. 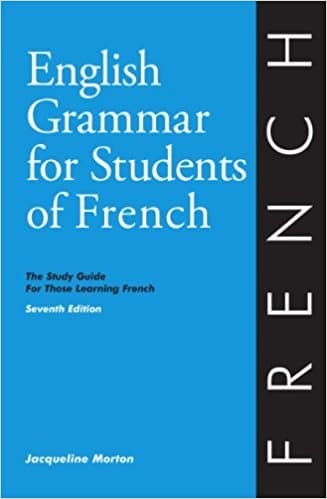 As you’ll read below, from the subjunctive mood to genders for nouns, French grammar includes many structures that either don’t exist in English or are infrequently used. The subjunctive mood is very important in French, less so in English. In French, the subjunctive mood is used to express emotions like hope or fear, as well as uncertainty. It can also be used after certain expressions, such as pour que (in order that) and pourvu que (provided that), etc. In English, on the other hand, the subjunctive is rare. If only he were nicer. Incorrect: Je veux que tu être avec moi. French has gendered nouns, but English doesn’t. Every noun in French has a gender. Once upon a time English did, too, but all traces of noun gender in English disappeared by the 11th century. That means vocabulary memorization has an extra, often frustrating step. You can’t just learn how to say a word in French unless you also memorize its gender. Otherwise, the grammar of the rest of the sentence can get thrown off. Fortunately, there are some tools that make it easier. Vocabulary Stickers help you naturally absorb nouns’ genders with labels you can put all over your home and office. Each label is color coded depending on the gender. The visual element supports your memory that, for example, it’s la fenêtre (the window) and not le fenêtre every time you look out of it. There are more than 130 labels covering everything from kitchen equipment to tech to clothes, which you can check out here. Verb conjugation can be more complicated in French. Understanding verb conjugation in English can help somewhat with French conjugation, but remember that it’s more complex in French. Let’s check out some of the forms of the verb avoir (to have). This is because French sports more tenses and more complicated conjugation rules. For example, in French, both the passé composé and imparfait refer to events in the past, but under different circumstances. Similarly, French has literary tenses such as the passé simple and passé anterieur that are usually only used in writing. Despite French being a romance language and English being Germanic, they have much in common. The Foreign Service Institute (FSI) classifies French as one of the easier languages for English speakers to learn, and I can’t disagree with that. Any language can be learned with sufficient effort, but it’s undeniable that French vocabulary and the history of exchange between the two languages give you invaluable advantages.